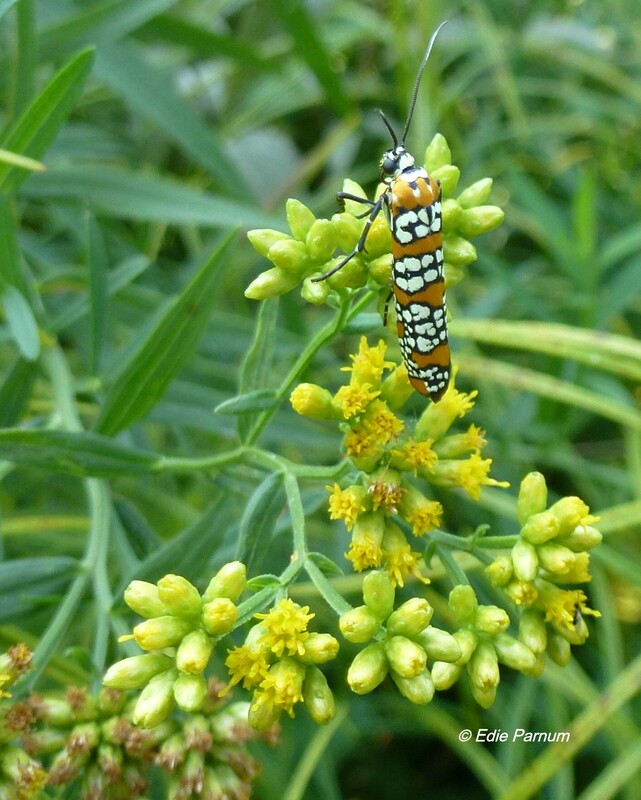 You read it repeatedly on this blog—plant more native plants. Plant lots of them. Too expensive, you say. That’s true when you purchase them at nurseries or native plant sales. I know where you can get native plants for free—yes, really! They are already in your own backyard. Local native plants are adapted to our soil and climate, so they reproduce abundantly. Look carefully at the young plants in your garden. 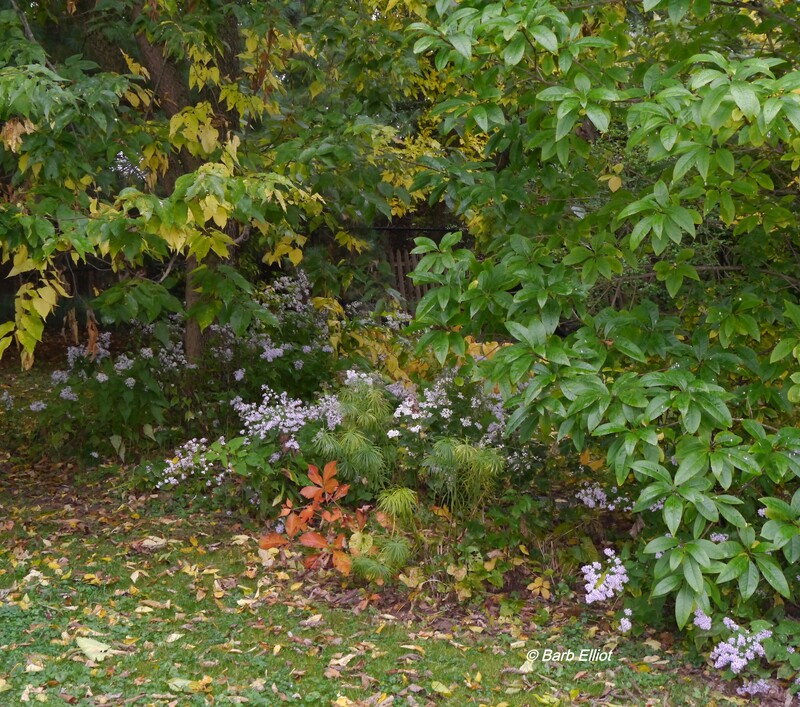 You’ll find multiples of many of your favorite native plants. Resist pulling out these volunteers and throwing them away. They are not weeds. Keep them growing by transplanting them to new locations. Take a tour around your yard. 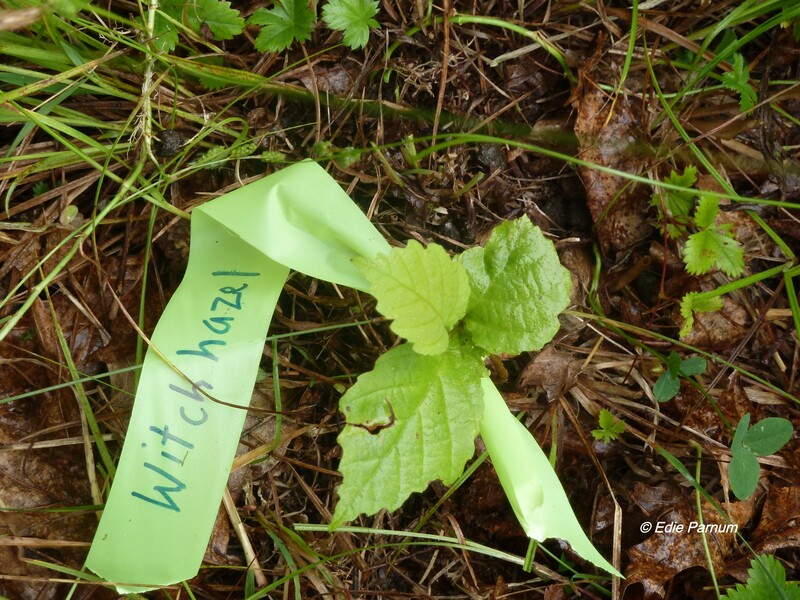 Locate the native plants that have popped up voluntarily, but haphazardly. These young woody saplings and perennials are smaller versions of plants you already know and love. Many, you recall, are particularly favored by birds, butterflies, and other creatures. Others are your personal favorites—they are so beautiful! You already know their ultimate size, shape, and color and their needs for sun, shade, dry, or moist conditions. These native plant treasures can be saved by moving them to new locations. Now look for places where you can incorporate these volunteer trees, shrubs, perennials, ferns, vines, and groundcovers into your landscape. Where can you grow another tree? How about several trees? Shrubs can be added around the base of isolated trees. Can you install or expand a garden bed? What about removing some non-native plants or invasives? Keep in mind native plants prefer to touch each other, not be isolated. Spots of bare ground should be filled in with native groundcovers. And, surely, your lawn can be reduced. Aim to cover virtually all open areas with native plants. Be brave. Dare to transplant—even if you’ve never done it before. Native plants are resilient and determined to grow. Spring or fall, here’s how to transplant. 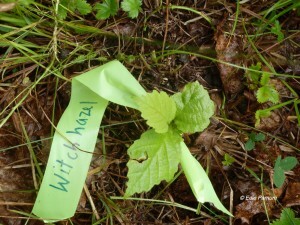 Locate a small sapling, preferably shorter than 15”, to transplant. If the soil is dry around the plant, water it well. Before you dig out this woody plant, select the location where you want it to grow and dig a hole there. This hole should be no deeper than the expected depth of the transplant’s roots and about twice as wide. To dig out the transplant, estimate the size of the root system (usually as wide as the sapling’s canopy). Dig deeply around the plant and avoid severing the tap root. When you lift the sapling out of the ground, it should have plenty of roots and soil attached. Carefully lay the sapling with its root system on a piece of newspaper or plastic and carry it to the new location. Place the plant into the pre-dug hole. Hold the plant upright with the top of the root system ½” above the height of the ground. Fill in around the roots with the soil that was removed from the hole. Do not add fertilizer, topsoil, or other amendments. Press the soil down with your hands, but do not stomp with your feet. Spread compost and leaf litter on top. The sapling of this 10-foot White Pine was 6 inches tall when transplanted five years ago. Water well. Unless it rains, water the transplant every week for several months—longer if the season is dry. In fall, water until the ground freezes. Some established shrubs such as viburnums send out horizontal roots where new plants can emerge. These baby shrubs can be transplanted, too. Follow the directions for free-standing saplings. However, before digging the plant out of the ground, find and sever the lateral root growing out from the mother plant. Small woody transplants, once established, grow quickly. After a few years they will be as big as much larger nursery-grown trees and shrubs. Personally, I have successfully transplanted Red Maple, Bottlebrush Buckeye, Redbud, Eastern Red Cedar, Tulip Tree, Eastern White Pine, Black Cherry, Tulip Tree, and Sassafras. I’ve also moved several native species of dogwoods, hollies, oaks, and viburnums. 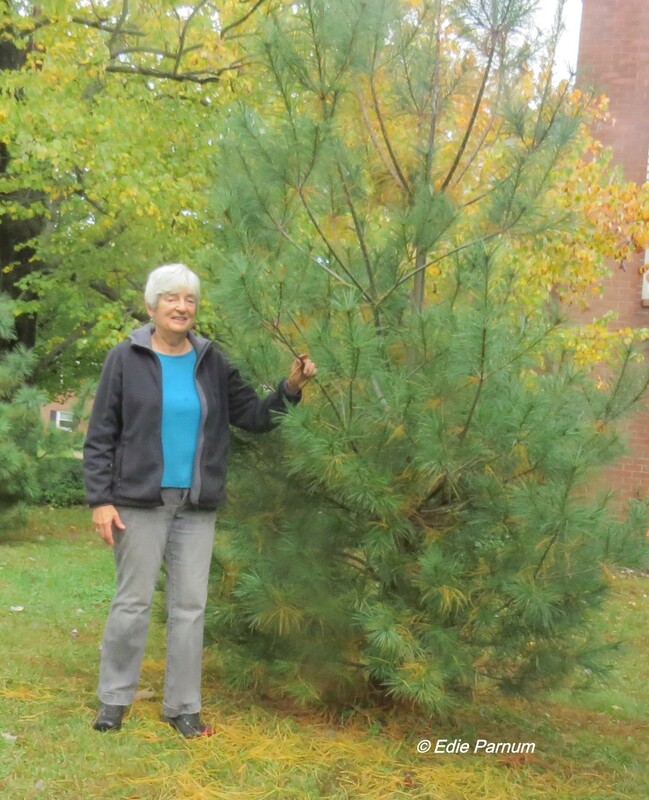 Most other native woody plants will transplant well, too. You can also relocate woody vines like Virginia Creeper, Trumpet Vine, and Virgin’s Bower. Perennials and other non-woody plants often produce volunteer seedlings. These young plants resemble their parents and can be readily differentiated from your yard’s common weeds. Frequently I see Nodding Onion, Anise Hyssop, Amsonia, Wild Columbine, Wild Geranium, Cardinal Flower, Great Blue Lobelia, False Sunflower, Golden Ragwort, New York Ironweed, Golden Alexander—all valuable plants begging to be saved. I often find my cherished native asters, goldenrods, and phloxes as seedlings, too. You can dig out these and many other seedlings and transplant them elsewhere. Follow the above directions for transplanting shrubs and trees. Some perennials spread by underground runners. The lateral roots of Mountain Mint, Bee Balm, Monarda, Wild Bergamot, Obedient Plant, Ostrich Fern, and Mistflower produce growth to dig out for new plants. Divide older perennials. Look for plants that are oversized and have lost vigor. These can and should be divided. 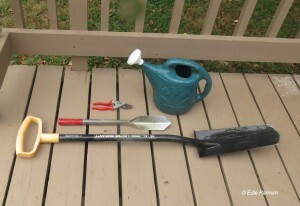 Push your spade deeply into the ground at several places around the perimeter of the large plant. Lift it up out of the ground with most of the root system intact. Thrust your shovel into the middle of the plant and separate it into two clumps. 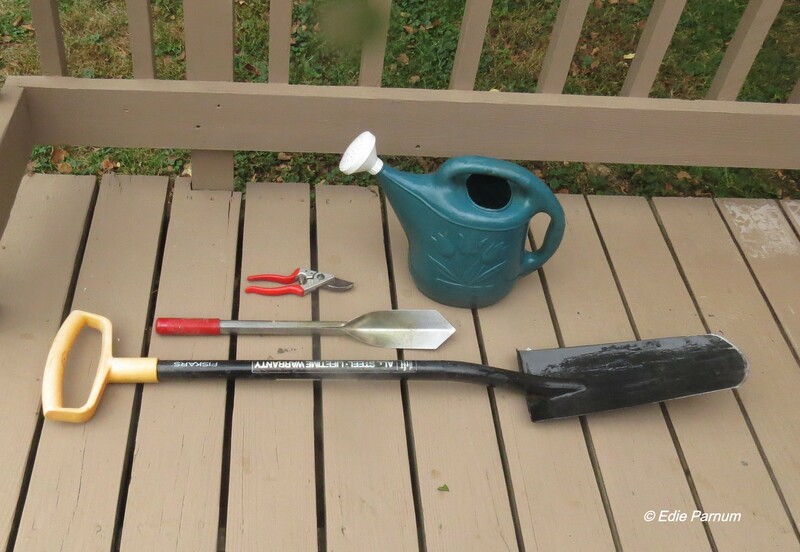 If the root system is dense, you can use two back-to-back garden forks to pry it apart. Further subdivide these clumps to yield four or more plants. As with woody plants, plant perennials and ferns ½ inch higher than the ground. Be sure to keep them watered until they are established. If planting late in the fall, mulch the plants to prevent them from heaving out of the ground during light frosts. certainly can dig out a plant satisfactorily with an ordinary shovel. However, I prefer using my transplant shovel. With its narrow blade I can make precise cuts around my target plant but avoid injuring desirable plants nearby. It has a wide ledge for stomping with my foot and good leverage. Thus, I’m able to do most of my transplant operations standing up. No need to kneel or squat uncomfortably. You can’t create the landscape of your dreams all at once. Each spring and fall, transplant as many young plants as you can. Ever increasingly, your property will include all the layers found in nature: groundcovers, perennials and ferns, shrubs, understory trees, and canopy trees. This dense, layered landscape will develop into a rich habitat alive with insect and animal biodiversity. 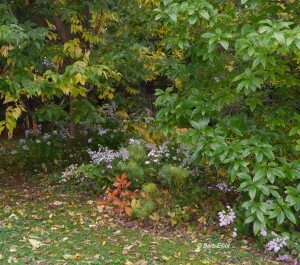 A layered landscape in fall, including Virginia Creeper and violets as ground covers, asters, amsonia hubrectii, Solomon’s Seal in its fall yellow color in the background, Fringe Tree (understory tree on right), and a large Common Hackberry tree (on left). Revel in the fecundity of your garden. Each of your native plants is a gift to nature. Each with its leaves, flowers, seeds—in fact every part of the plant—contributes exuberantly to the web of life. Save them one by one to plant elsewhere in your yard. Give them away, too. Your garden will be a native plant nursery.